Last week I said goodbye to my sister, who will be gone for the next 18 months. She’s off to serve a religious mission to Boston. I’m going to miss her. 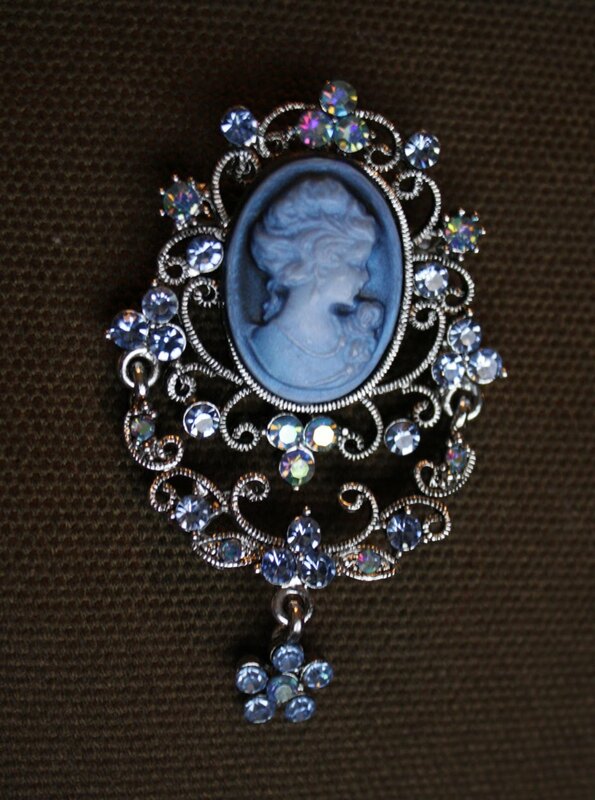 I once mentioned I was looking for a cameo brooch, and she spent all day searching until she found the perfect one and bought it for me. She’s always doing nice stuff like that. Boston is very far away and exotic. I’ve learned a lot about Massachussetts these past few weeks. Like it’s north of Maryland. WHO KNEW?? Also, they have lobster there. I’ve never had lobster but I bet it tastes neat. 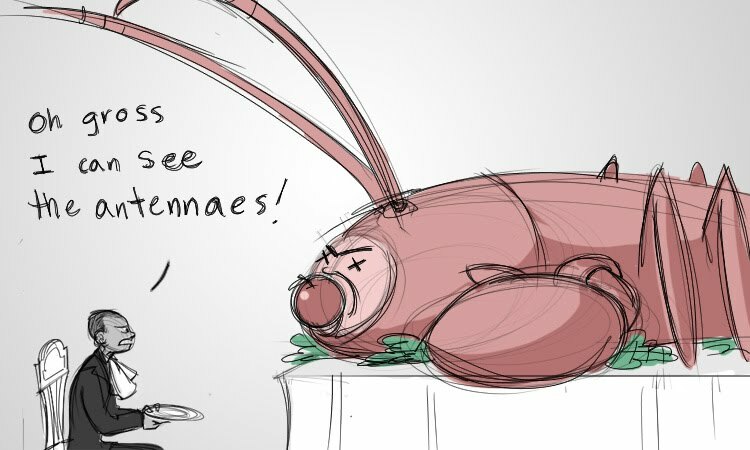 Like eating a great big bug! Their best-kept secret is the monster that lives in the waters there. It’s the terror of Cape Cod. 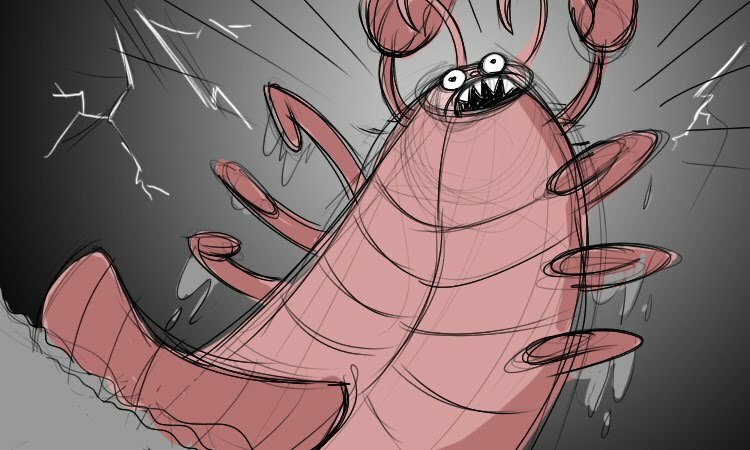 A MASSIVE LOBSTER NAMED BIG AL!! It’s about the size of the Disneyland castle and it’s called Big Al because it has a face like Al Capone. It also has teeth that shame the Dune Worm! When it catches lobster boats it tears them apart like twigs in a wood chipper. 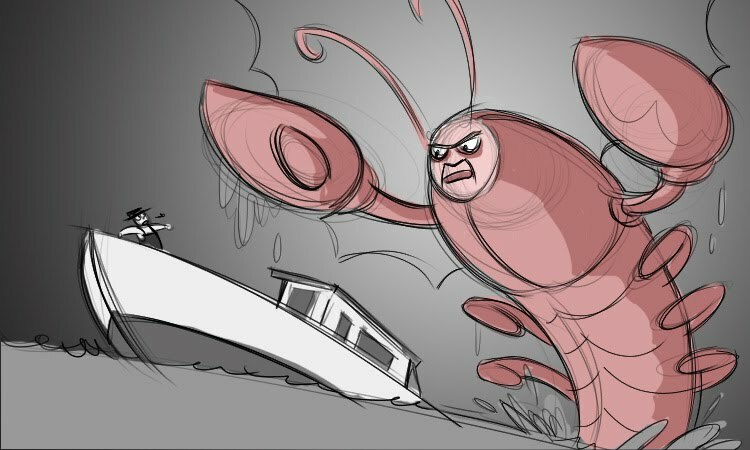 One day, though, the lobster hunters will catch Big Al. They’ll have to cook him in a hot springs because he’ll be too big for a pot. No one will be able to afford eat him though. Except someone important, like the president maybe. I told my sister though if she catches Big Al first, she must only use his powers for good! Is Big Al a potential investigator? 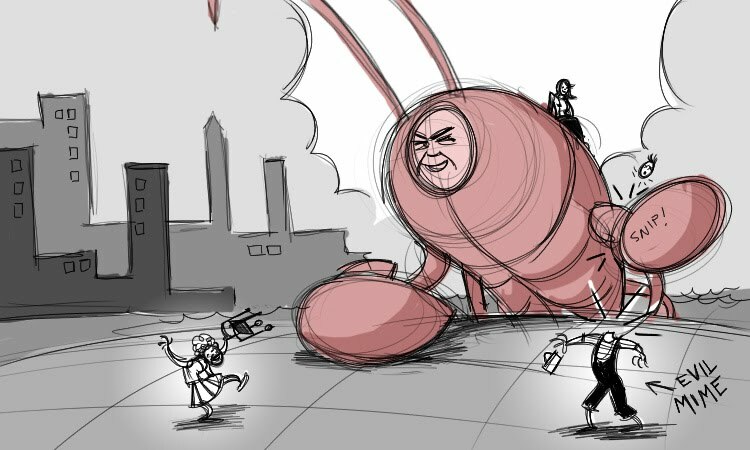 "No baptisms, but I converted a lobster!" Maybe I'm dense – Is there a translation to what the lobster ship captain is saying? @Tom: Park the car in Harvard yard. 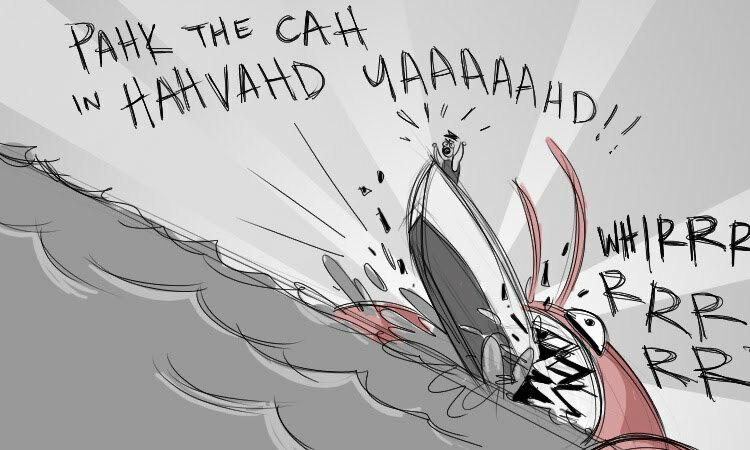 I have no idea why a lobster boatman would shout that as his boat was being eaten by a giant lobster. Perhaps too much mercury poisoning? A desire to see his beloved vehicle properly cared for in the last moments of his demise? An extreme dislike for the mime performing in Harvard Yard? The world will never know. this made me chortle mirth-ily. mm. i could really go for some lobster right now. "Oh. Boston." Sorry. I couldn't resist. It's from the old Parent Trap movie. Nevermind. Have you ever been to the Living Planet Aquarium in Sandy? 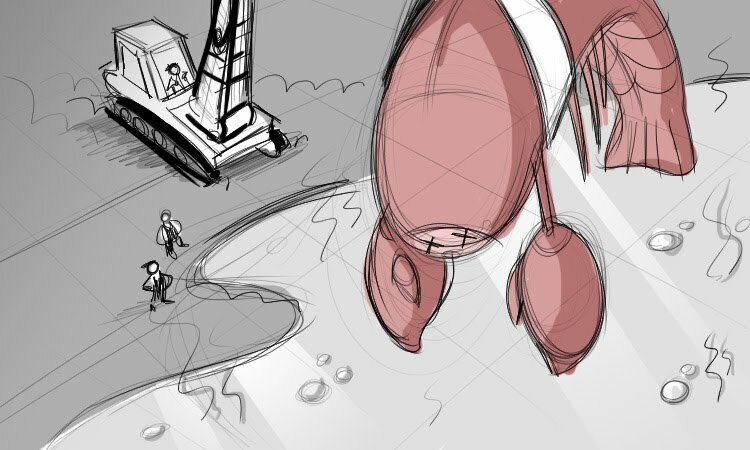 They have a HUGE lobster there (not exactly Al size, per se, but still big). One time when I was there with the boy, an old man who looked like Santa noticed Max and I staring at it. He piped up from the bench he was sitting at and said to us, "Bet he'd be pretty tasty, huh? heh heh heh!" 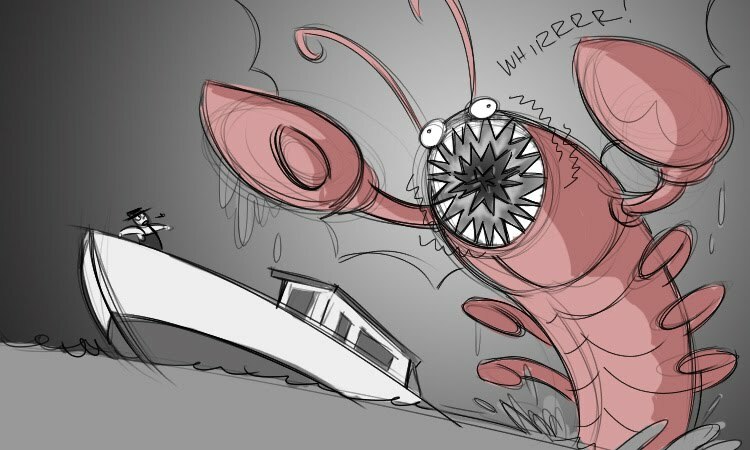 Now, whenever we visit and walk past the lobster, I can't help but fantasize a little about eating the thing. Awesome. Greetings from a Bostonian. Don't worry, we will take good care of your sister!